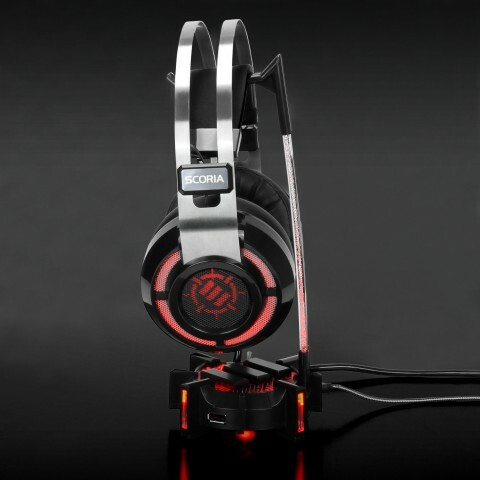 ENHANCE your gaming desk with the Pro Gaming Headphone Stand. 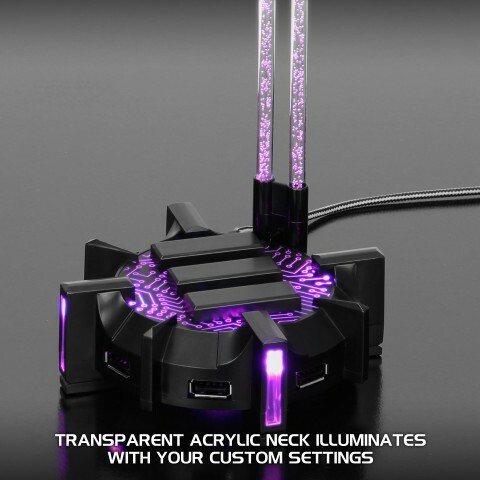 Designed with custom LED lighting, 4 USB ports, and a sleek and modern transparent acrylic neck that complements your love of all things RGB. Mount your headset and experience the incredible practicality and style that only ENHANCE gaming can offer. 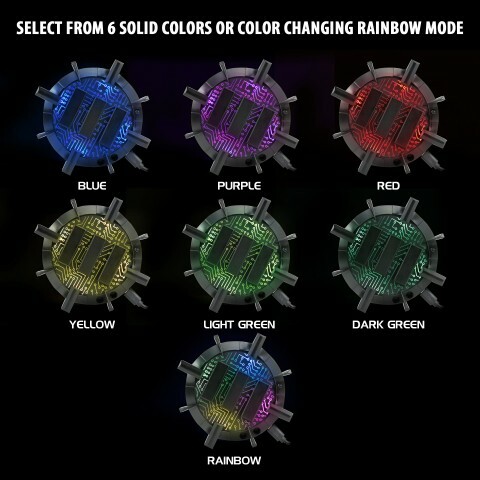 Use the quick access on-board button to select from 7 LED lighting modes to match your existing gaming setup or mix things up with the color changing Rainbow mode that phases through the 4 lighting zones in an incredible light show. 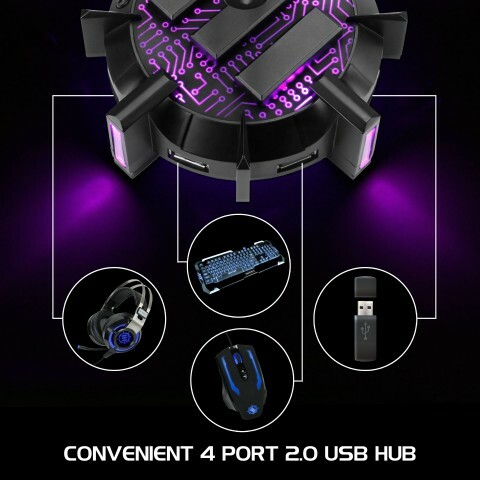 Four UBS 2.0 ports transform the headset holder into a multi use station to connect headsets, keyboards, gaming mice, flash drives, and more rather than reaching over to connect to your PC. Protect your headphones by placing them on the hanger. 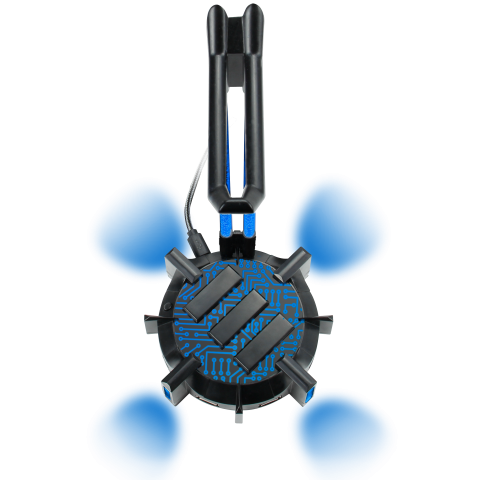 The elevation keeps them from brushing up against your desk or other surfaces that could damage the surface of your headset. 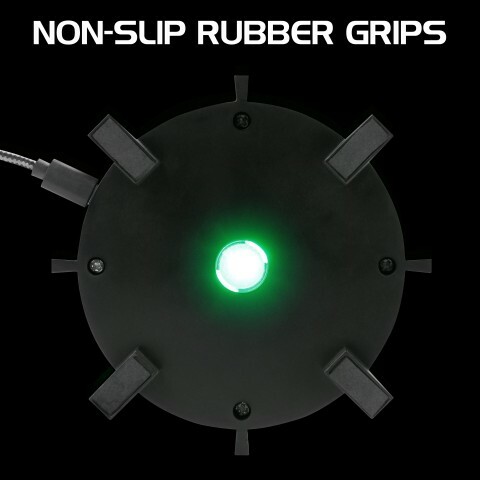 The base features a 3.7oz weighted metal disc to provide stability and reinforce the non-slip rubberized feet of the stand. 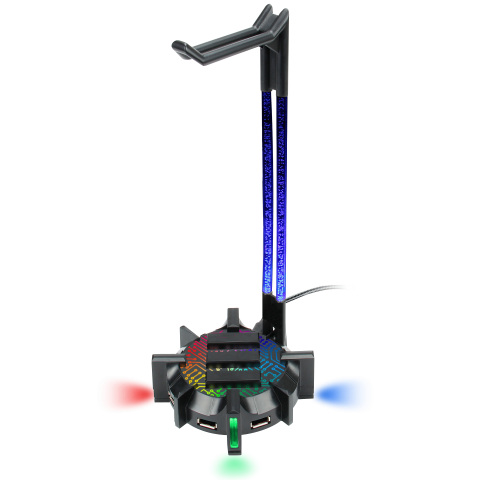 Once your headset is mounted, the weight is amplified, rooting the feet in place for an incredibly stable standing position. The transparent neck is made from a sturdy and flexible acrylic that illuminates upwards from the base. 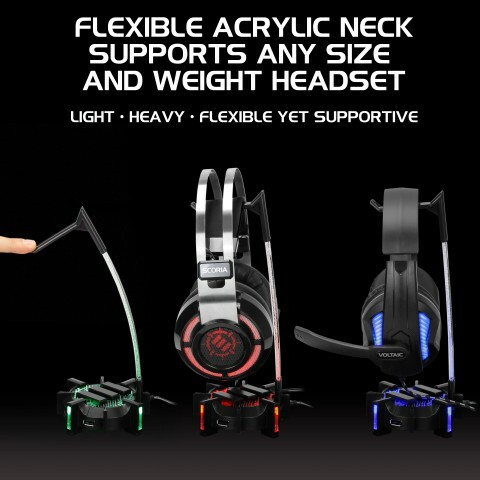 The neck is flexible and flexes to the weight of heavier headsets. 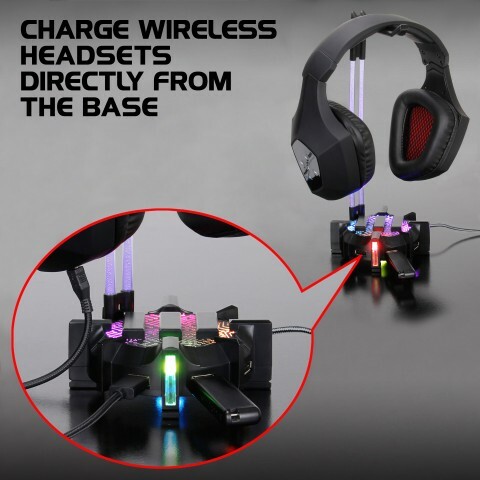 However, the headset stand is capable of bending to an incredible degree even with force, able to support any size and weight headset on the market. This includes small and large headphones such the SteelSeries Arctis, Corsair Void Pro, Razer Kraken 7.1, HyperX Cloud Stinger, and many more.